Today is the first post of many that I have featuring the Best of Flowers stamp set. I am using a much neglected (and soon to be retired) color - Not Quite Navy! There were a ton of announcements made this week at Stampin' Up! The two most exciting ones are the free shipping weekend and the Color Refresh! Stampin' Up! 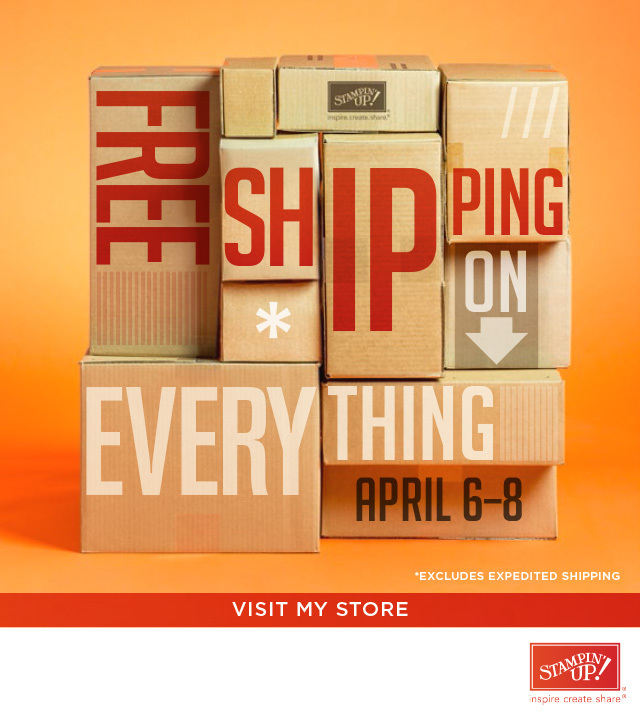 is offering free shipping on all orders placed April 6th-8th! There is no minimum purchase amount. You can order by clicking on my shop button on the upper left of the blog or by emailing me your order! 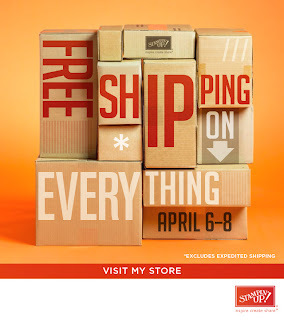 It's a great time to stock up on supplies or get those last few items from the Spring catalog before it's gone forever! Stampin' Up! has announced the new color line up for the 2013-2014 Annual catalog. I really love how they have brought back a lot of the most popular In Colors. In Colors are named that because they are "In"...the trendiest colors!!!! 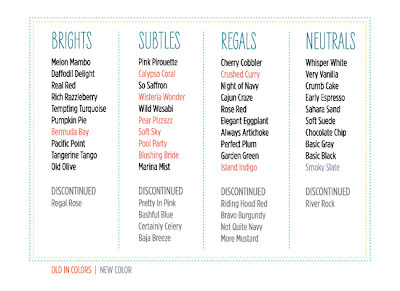 Many of my favorites are returning....Pear Pizzazz, Blushing Bride, Pool Party, Island Indigo.....it's so exciting! There is even a new color - Smoky Slate - which is a beautiful light gray. It's the perfect complement to Daffodil Delight, Pool Party, Wisteria Wonder....any color you would pair up with Basic Gray without the boldness of Basic Gray. I can hardly wait for the new catalog to come out! Here's the color line up! 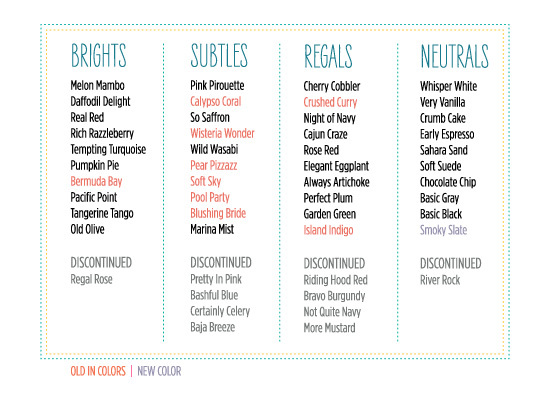 Discontinued colors will continue to be sold while supplies last until the new catalog is released. I cannot guarantee how long they will be in stock, so if there are some that you love and will miss, make sure you stock up ASAP! What a beautiful card. I love the layering and the pearls along the side. I have got to order this set soon!